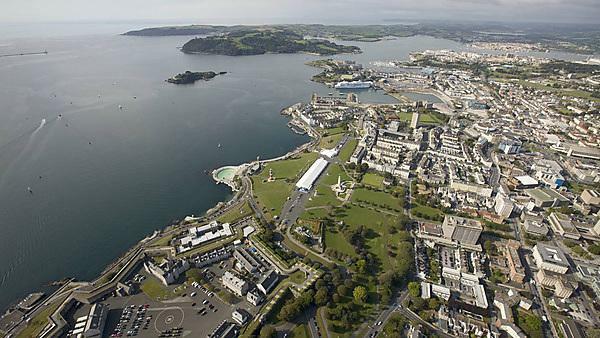 Plymouth celebrates historic achievement scooping funding of £12.5m from the Heritage Lottery Fund to create major heritage and cultural attraction. The Heritage Lottery Fund (HLF) funding amounts to more than half of the cash needed to create a £21million ‘History Centre’ that will breathe life into the city’s world-famous figures and most precious historic collections. The History Centre, which will not be the attraction’s eventual name, will unite five separate heritage collections into one single location including treasures from the Plymouth City Museum and Art Gallery, Plymouth and West Devon Record Office, South West Film and Television Archive, South West Image Bank and the Local Studies and Reference Collection from the Central Library. Plymouth University is also an official partner through the engagement of Peninsula Arts and its world leading research and teaching in history and related disciplines. An important factor contributing to the success of the bid to the HLF was the City Council’s investment of £5million to the History Centre, which demonstrated the clear commitment of city leaders to the project. As part of the project, the listed buildings on North Hill – which currently house the Museum and Central Library – will be refurbished, a new large extension added and the former St Luke’s Church at Tavistock Place will also be renovated. Together this will create an attraction three times the size of the existing museum, which will include WOW spaces to showcase the staggering array of historic treasures that will be brought to life with interactive displays encouraging visitors to explore further. "The HLF award is of huge significance to the South West Film & Television Archive. It secures for Plymouth and the South West a long term home for the largest regional film archive in the UK. It will also bring together the most important heritage collections in the city in a ground-breaking way, which will make the collections relevant and accessible to the public in an exciting, world class environment." The History Centre project will receive an initial £900,000 grant from HLF to complete its development phase, which will involve a solid year of planning and consultation to work up the detailed designs for the buildings and exhibition spaces. Once the plans are approved, the remaining £11.6million will be released to undertake the build project, as well as transform three organisations into one major new attraction. To make the History Centre a truly community-led attraction, the coordinating partnership will be holding more consultation and engagement activities with the public to gather ideas and gain feedback that will be used as part of the development phase. Some early ideas have been formed but the project team is keen to stress that much of the detail is up for grabs, and suggestions from the public are very welcome to ensure the Centre appeals to the widest possible audience. The planned opening date for the History Centre is by spring 2019.